It’s rare I find myself as entertained and drawn into a story as I was while reading Naomi Novik’s His Majesty’s Dragon. This is why we should aimlessly wander libraries, for that is how I came across this first installment of what I hope will continue to be an enthralling series. The story begins when Laurence, a British navy captain is apprised that his latest capture on the high seas is carrying a dragon egg, about to hatch. Under the constraints of the needs of the ongoing war, he makes the unusual decision to harness one of his officers to the dragon upon its hatching, to keep the young dragon from going feral. There are no aerial corp officers onboard and the ship is too far out at sea for assistance. The dragon, however, is as strong-willed and well-developed as an individual as Laurence himself and chooses his own partner – for life. Laurence’s career in the Navy is finished, but not his fight for his land and country. to place Naomi Novik’s work in context within literature and to recommend it to those readers who enjoyed Dinotopia and Pern. For those who enjoy both the Sharpe series and fantasy, this is a lively blend of both. 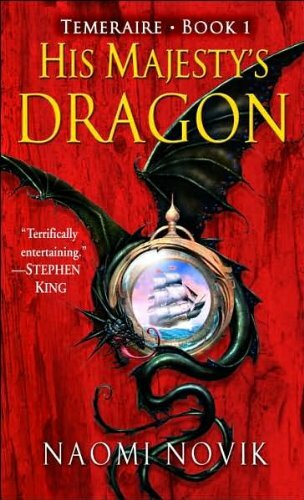 I loved the interactions between Laurence and Temeraire, the young dragon. Novik spared nothing in fulling developing both the world of a European built around ships and dragons but also a core of fully developed characters that sprang naturally from such a world. Five stars. Also, the editing was very good. It was the first book, self-published or traditionally published that I’ve read in a while wherein I found zero errors. 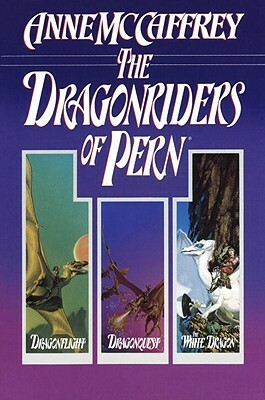 This entry was posted in Book Reviews, Fantasy, Reading and tagged Anne McCaffery, dinotopia, dragonriders, dragons, flintlock fantasy, gunpowder fantasy, His Majesety's Dragon, Laurence, Naomi Novik, napoleonic wars, Pern, Sharpe's War, Temeraire. Bookmark the permalink.